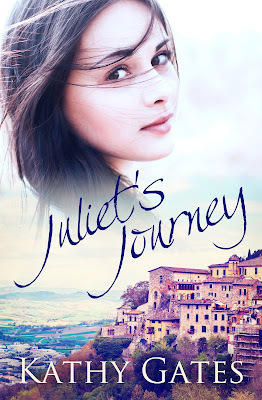 Synopsis: Juliet Carlsen is grieving the loss of her mother. Six weeks after the funeral she is about to arrive in a tiny village in northern Italy. The village, Baiardo, is home to an art school where she is to spend a month as a volunteer. Her best friend had convinced her that a change of scene would do her good but, as she nears her destination, she is not so sure: was it really necessary to travel so far out of her comfort zone? Baiardo turns out to be her haven. The warm welcome and serene beauty work their healing magic. The attentions of a handsome local named Luca don’t hurt either. Then someone from Juliet’s past shows up and turns everything on its head. About the author: Kathy Gates loves three things: walking, travel and writing. Her novels and shorts stories aim to combine all three. Born and raised in Sydney, Kathy now lives in Hobart - it's like Sydney but smaller and the food and wine is better.Kathy has a background in marketing where she enjoyed making up stories; writing novels seemed an obvious career move.